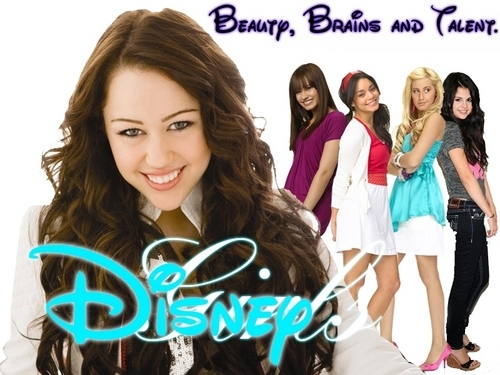 disney. . HD Wallpaper and background images in the disney Channel bintang Singers club tagged: photo. This disney Channel bintang Singers photo contains potret, headshot, and closeup. There might also be berpakaian orang, jas, celana jas, celana panjang, orang berpakaian, perapi celana, pakaian luar, overclothes, pakaian, gaun koktail, selubung, and cocktail gaun. y is miley in the front? and bigger than the rest? all of them rock, and miss donkey nazanin selena rocks, you are so stupid. Hahaha eww selena is there i agree!! !But YAY Miley is there!!!!! Miley ans Selena are no better then Vanessa, Ashley, and Demi.